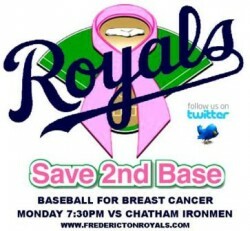 Monday night will mark the third annual Baseball for Breast Cancer game hosted by the Fredericton Peterbilt DQ Royals. The game will also feature the visiting Chatham Ironmen. The team will be sporting their pink breast cancer jerseys, as well as an array of other pink accessories, including pink tape, pink batting gloves and pink shoelaces. The Ironmen have also been contacted about the event and will also be sporting pink accessories. VP of Baseball Operations and Major Sponsor Kristian Dewar says that following the game a tally of how much money was made from the game will be done, and a donation to the Canadian Cancer Society on behalf of the Royals. One of the Royals who have been directly affected by cancer is first baseman and catcher Jody Peterson, whose mother was diagnosed with breast cancer eight years ago. 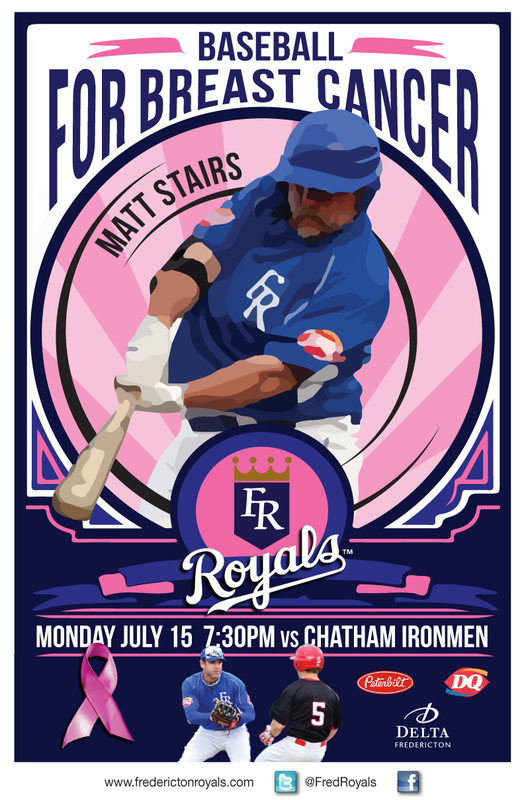 Traditionally Baseball for Breast Cancer has been good to the Royals, as they have won both games, with last year’s being a dramatic finish. With the pink jerseys coming out, Peterson isn’t concerned about the way the team will look either. First pitch for the Royals is set for 7:30 at Baseball Hill. Wear some pink and come on out to the game in support of a great cause.